While Article 50 has yet to be triggered and the full ramifications of Britain’s EU exit remain unclear, it’s hard to judge the success of June 23’s vote. 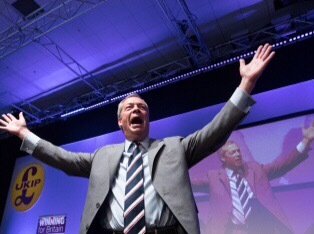 But Nigel Farage told the Ukip conference that it was a success – and not only that but if the vote happened again it would be more of a landslide for ‘leave’. It seems safe to say simply because it can’t be proven otherwise. Here is the piece I wrote for the New Statesman. 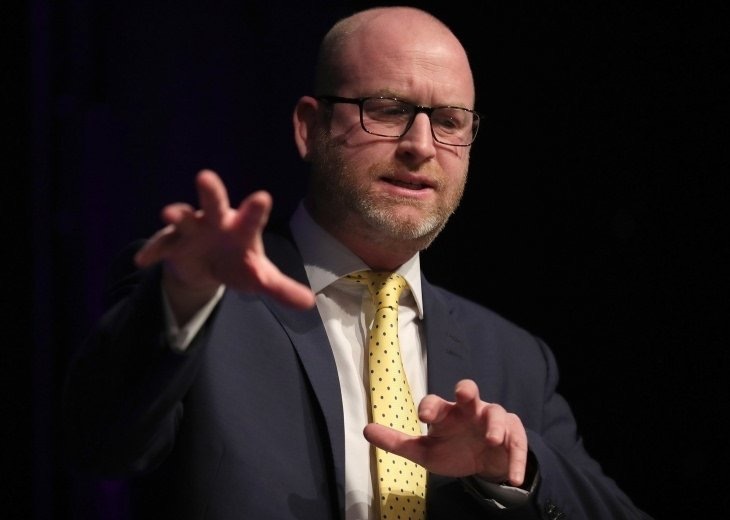 Did Paul Nuttall create more problems for Ukip? The party leader broke all the rules when he became the story the week of the Ukip conference. 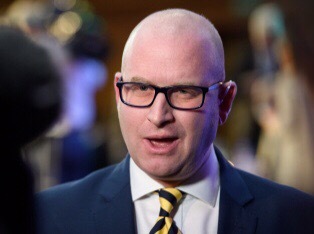 Pail Nuttall’s horribilis sabbati was worsened by the fact that, after he had allegedly lied about his past as a professional footballer and his loss of close friends at the Hillsborough disaster, he had to face his party, the press and his popular predecessor Nigel Farage at the party conference. He dealt with the situation by calling out those he claimed had smeared him. This is my piece for The Staggers. Ukip are not known for their tolerance when it comes to multiculturalism. But when party health spokesperson Suzanne Evans appeared at conference, she gave a priceless speech including and exhortation for members ‘not to blame immigrants’ for the overstretched NHS. As it turned out, she blamed the top of the heap, the politicians who had allowed immigrants to allegedly use the system to get what they wanted – so it wasn’t so far from the party hymn sheet as t first appeared. Read my New Statesman news piece here. 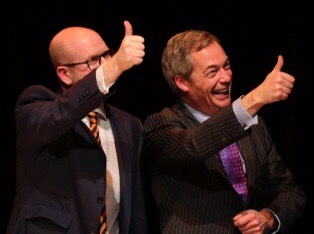 Paul Nuttall – Ukip leader or pretender to Farage’s throne? Taking over as Ukip leader was nothing but taxing for Paul Nuttall – the cult of Nigel Farage saw to that. But even though the spectre of the self-styled architect of the Leave vote still hangs over the party, the Bootle incomer wasn’t doing too badly at the party conference. Here’s the piece I wrote for the New Statesman. The Manchester Mayoral Election may not have much resonance outside of the North West. But in the city where the TUC, Marx and Engels and the Suffragettes took their life, their blood and their fight from, Manchester is under no orders to do this quietly. And while upheaval seems unlikely to engender itself in the form of an upset – say a party other than Labour fielding the winning candidate – it’s a lot of work for anyone. Especially a man like Andy Burnham, so well known for his association with Labour past – and, by some, ill-regarded for his seeming lack of opposition to Jeremy Corbyn’s damaged regime. For the New Statesman, he told me how angry he gets at those who criticise his Labour loyalty – and says he’s the only candidate fighting for the future of the region and its young people. Brexit has been held responsible for a lot of different evils in the last seven months. And it hasn’t really properly happened yet. But when the amendments brought to vote in the House of Commons on February were rejected, there was a new concern for us all. Not just the EU nationals who have been in constant turmoil over their futures and at the mercy of Theresa May. But the UK nationals living in Northern Ireland. Amendment 86 required that Article 50 did not break commitments made in the Good Friday Agreement and it was defeated. So 327 people decided that ongoing peace in NI was simply an acceptable loss – collateral damage in the poisonous “Brexit means Brexit” rhetoric which has punctuated the last seven months and 17 days. I wrote this on Medium about my concerns and experiences. When it comes to Ukip, I’m prepared to say that everyone in the UK has an opinion, an idea of what they are like, what they want, and how they operate. So the chance to speak to the Ukip Manchester mayoral candidate for the New Statesman was an interesting one insofar as I was pretty sure of what I would find. But Shneur Odze is not merely one of the ‘racists in blazers’ (his term) that Nigel Farage was long seen as the figurehead of. Not least because, as an Orthodox Jew, his cultural background is different to so many of his party colleagues. But is Odze a fig leaf for the party to don in reaction to accusations of racism and anti-semitism? Or is he an indicator that Ukip has the power to become an opposition party in the UK parliament? Read about his motivations and judge for yourself.